Carrington Dental® welcomes all dental patients from across Australia to our official homepage. We are happy to help and will look forward to talking with you. At Carrington Dental, we are dedicated to providing our patients with the best dental care available at affordable prices. In the process, we give each of our patients the respect, understanding and care they would want and deserve. Carrington Dental is a private dental practice that has been established by Dr. Alexander Kaye. Dr. Kaye graduated from the University of Sydney's Faculty of Dentistry in 1994. The experience and training of Dr. Kaye means that his services are regularly sought after. He also undertakes continuing professional education through the Internet, seminars, professional journals and post-graduate training in order to provide restorative dentistry of an exceptional quality. Dr. Kaye is also a Member of the Australian Dental Association and is an Accredited Member of the Australian Society of Implant Dentistry. Carrington Dental is located at 27 Carrington Avenue Strathfield, and in very close proximity to the Meriden, Santa Maria Del Monte and Santa Sabina private schools. Our dental practice is also located in easy walking distance from Strathfield Railway Station and is approximately 5 minutes by car from the Strathfield Exit on the M4 Motorway. We also have very easy on-street parking. 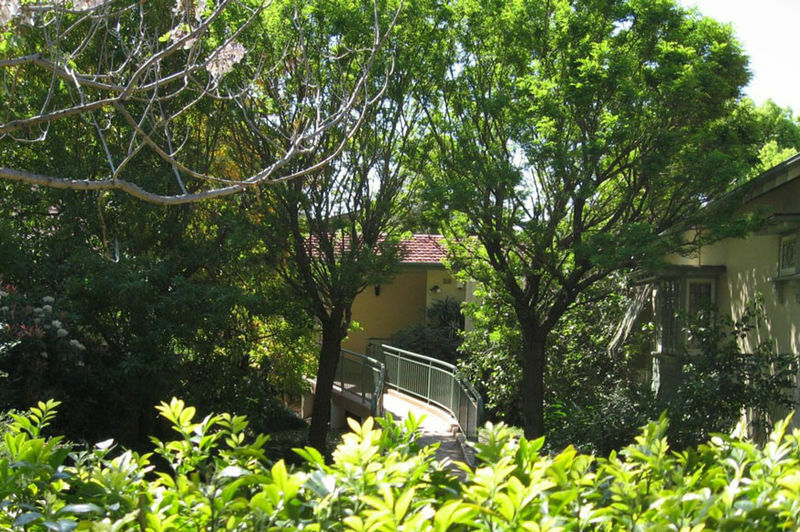 The actual practice itself is nestled alongside a private residence and is located within a unique and relaxed garden setting. On arrival, you will be made very comfortable as your comfort and care is always our first priority. Any dental treatment required is carried out in oversized and spacious treatment rooms. As mentioned earlier, Carrington Dental is dedicated to providing our patients with the best dental care available. In fact, we follow what may be described as the "Gold Standard" of treatment. This is treatment we would want for both ourselves and our families. We refuse to take shortcuts or make compromises, as the repair consequences often costs a patient substantially more in time, energy, financial cost and health problems in the medium to longer term. And remember, all holes in the teeth start off small. But the longer the hole is there, the deeper and more costly it becomes. One of the most common questions we are asked is the cost of dental treatment in relation to the more advanced procedures such as smile rejuvenation or smile makeovers. Whilst we frequently perform such procedures, there are generally lot of variables that need to be taken into consideration. The only way our practice can give you a fair and reasonable estimate is by examining you to assess the extent of work required, your wants and desires, your budget, and whether or not you prefer your work to be performed in stages. Essentially we want our patients to have optimum treatment which is individually tailored to each patient so that they can be as dentally healthy as possible. In addition, you will not get a different dentist every time you make an appointment: We want to get to know you and treat you very well on each and every occasion. In fact many of Dr. Kaye's existing patients can be regarded as personal friends. We also know that you want to take good care of your teeth and to preserve, enhance or create a beautiful smile. In addition, Dr. Kaye is happy to discuss any concerns or issues privately with you. All information is strictly for dental use only and will remain completely confidential. Our commitment to excellence starts with a thorough and complete examination. This allows us to offer you detailed and comprehensive advice. You will also be presented with all treatment options, without fear or favour, and with us explaining why we believe a particular treatment is the best option for you. We have and will continue to encourage all of our patients to ask questions, so that they may be satisfied with a proposed course of treatment. We also have well trained staff and follow the state-of-the-art sterilisation protocols. But on occasion, we may recommend you seek a second opinion from our practice specialists and others we trust to look after you. When this occurs, we will provide full details of the reason for the referral in conjunction with the appropriate records and support. You can be confident that the people we refer you to reflect the values of Carrington®. And remember, the highest compliment that Carrington Dental can receive is the referral of family and friends by a respected patient. We will always appreciate your expression of confidence!